We recently received a great description of fractional boats and yachts and why they make so much sense, so we've reprinted it below pretty much in its entirety.
" What is fractional ownership? The basic concept of fractional ownership is based on bringing like-minded individuals together to purchase large capital outlay assets typically with very high maintenance expenses, time consuming management responsibilities and sometimes high depreciation rates. When proper systems are in place and expectations are set from the beginning, fractional ownership arrangements work out very nicely for the customer. One of the biggest perks to fractional ownership is the ability to get much more asset for the money. When you consider you can now get a $2.1m brand new state-of-the-art 62' luxury Azimut motoryacht from Miracle Yachts, Inc. for the price of something less than half that size, around $220,000, you start to appreciate the ownership model. Typical yacht owners only use around 20 days per year and with this single share you would have 30 days at your disposal. Now consider taking all the headaches of typical yacht ownership out of the equation such as, hiring captain and crew, paying port fees, handling taxes, keeping the yacht cleaned and making sure that all of the subcontractors you hire are doing their jobs and not just taking your money. Oh yeah, and did we forget about those high insurance premiums or minimal coverage many owners have to deal with? Oil changes, tank cleanings and the list goes on and on. Forget about it, you will never have to deal with any of that again! Now with the offerings of a select few professional fractional yacht ownership companies, you can live that luxury yachting life with the ease that we have been dreaming of for decades. The history behind fractional ownership is long, however it was not until the late 1980's when NetJets paved the way for fractional ownership in Jets that this concept really started making sense. With the luxury of today's technology, companies can take advantage of the internet to logically handle all aspects of asset management. A few companies in the yachting industry, like Miracle Yachts, Inc., have developed software that allows easy and flexible scheduling of customers' time on the water. With this simple way to schedule time, customers are now finding fractional ownership much more appealing than in previous years. One key thing to note is that all fractional yachting companies are not created equal. You will need to do your homework and compare the pros and cons of each company and the way they operate. Some offer varying level's of ownership and you get more days of usage from some then from others. Some are very hands off and others are extremely customized. Be aware of how they bill, what's included in your purchase price and ongoing management fees and what isn't. Look for companies that are very forthcoming with information in how they operate and always ask exactly who owns the yacht. Some companies offer fractional ownership in yachts but all you really get is a chartered yacht with no ownership. A few have online scheduling systems and most do not. Find out how they handle scheduling, is it first come first serve, or whichever owner owns more shares gets first dibs, or possibly a rotation of "premium" days. " 1. Proprietary online scheduling system, offering flexibility previously unheard of in fractional yachting. 2. Pioneering the complete customization model. When you step onto your yacht it has everything of yours on it. No one else uses your linens, plates, silverware etc. No one in the fractional yachting industry has ever offered this level of personalization. 3. 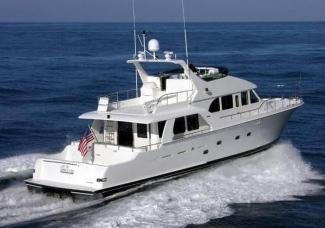 Save millions of dollars over traditional ownership and tens of thousands over chartering. 4. Simple monthly billing with no frivolous % up-charges. 5. Never have to worry about maintenance, repairs, hiring of captain and crew or management of the yachts affairs again. 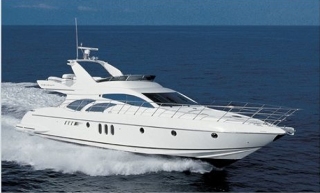 See our earlier article for a list of some other fractional yacht programs.